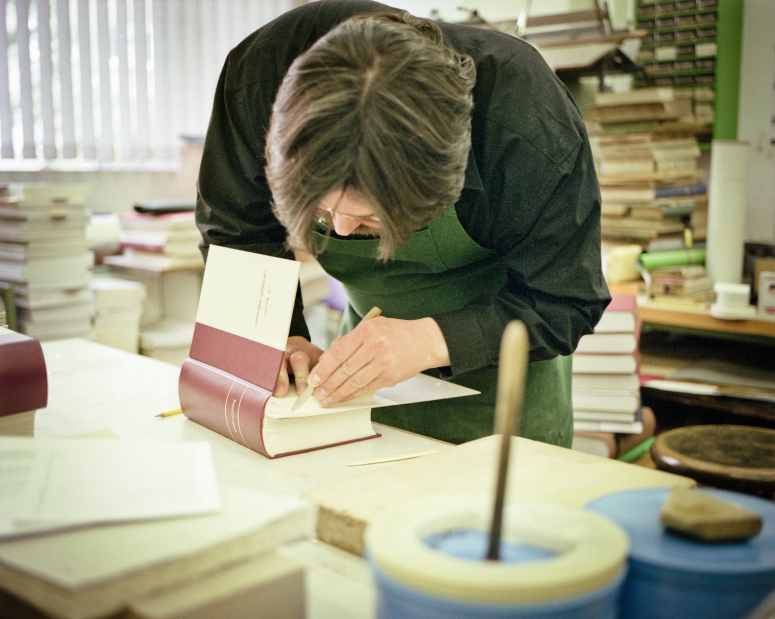 We offer bookbinding services for libraries, designers, private individuals from basic binding to high end binding including repair and conservation of books. 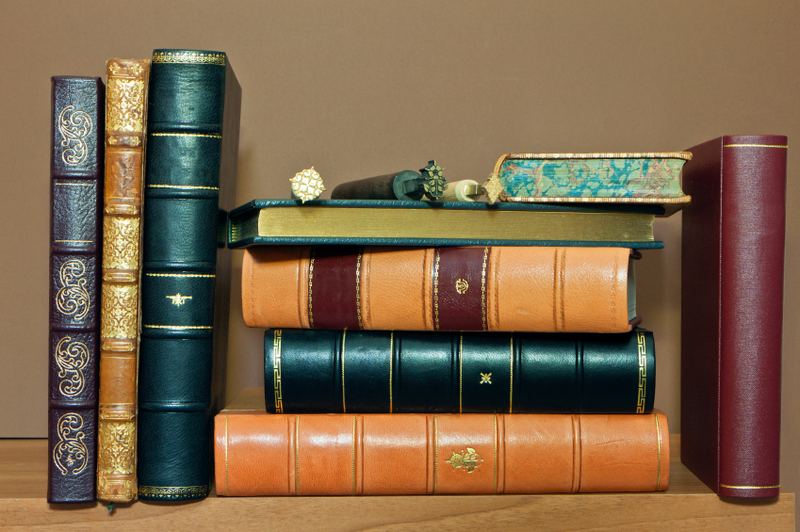 Collections of journals and periodicals are prepared and bound as required for you as a library or an individual collector. The material used is Arbelave library buckram as standard but other materials are available. Embossing colours are gold, silver or black. 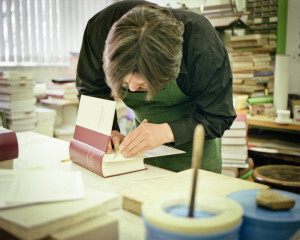 We can offer you a range of services whether it be for the serious collector needing a valuable book restored or someone requiring the simple binding of a set of magazines. Alternatively it might be a personalised present, for example a This is Your Life book, programmes (in sport or music), music scores, magazines (eg. 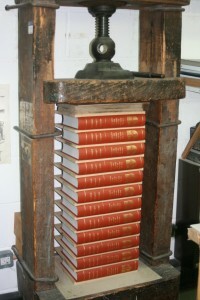 fishing, gardening, motorsport), personal poems or stories, the binding of family histories, etc.